Our original strength energy formula that's perfect for shaking off that early morning fog or post-lunch lull. We've added just the right amount of carbohydrates, caffeine, ginseng and B vitamins to help you feel more energized without going overboard. Made with natural Delicious Coffee flavor (pink pack) and Chocolate Cherry flavor (blue pack). Our maximum strength energy formula created for the more experienced caffeine connoisseur. One serving is all you need for hours of productivity and with the smallest serving size of any energy product on the market you can slam down a Screamin Energy® Max Hit® in seconds and feel more energized in minutes! Made with natural Coffee Mocha flavor. Unlike anything you've ever tried, our ULTRA Power Blend is a ground-breaking formula with premium ingredients specifically formulated for intense energy and focus. 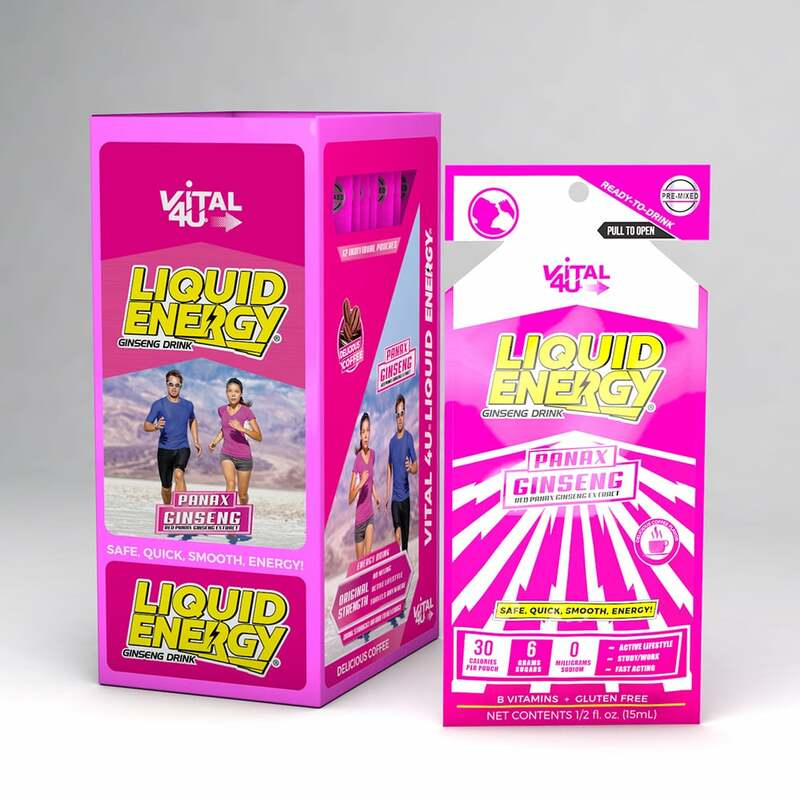 Use as a convenient premixed workout drink or prior to any physically demanding task. It's more than just energy! * Made with natural French Roast Caramel Coffee flavor. 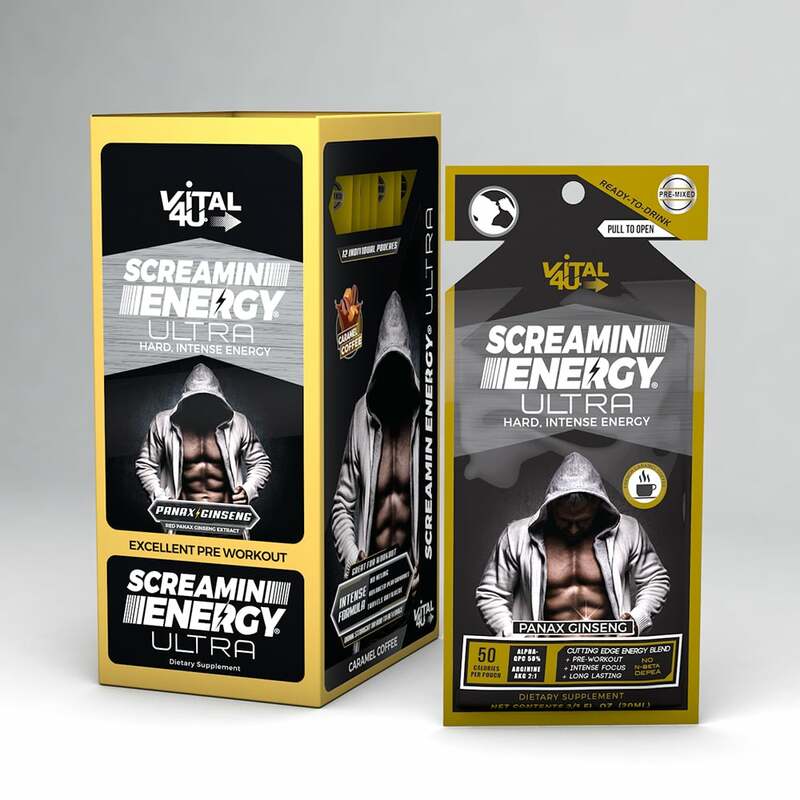 **Screamin Energy® ULTRA is a dietary supplement. For moderate results take only 1/2 pouch and discard. For full potency take 1 full pouch. 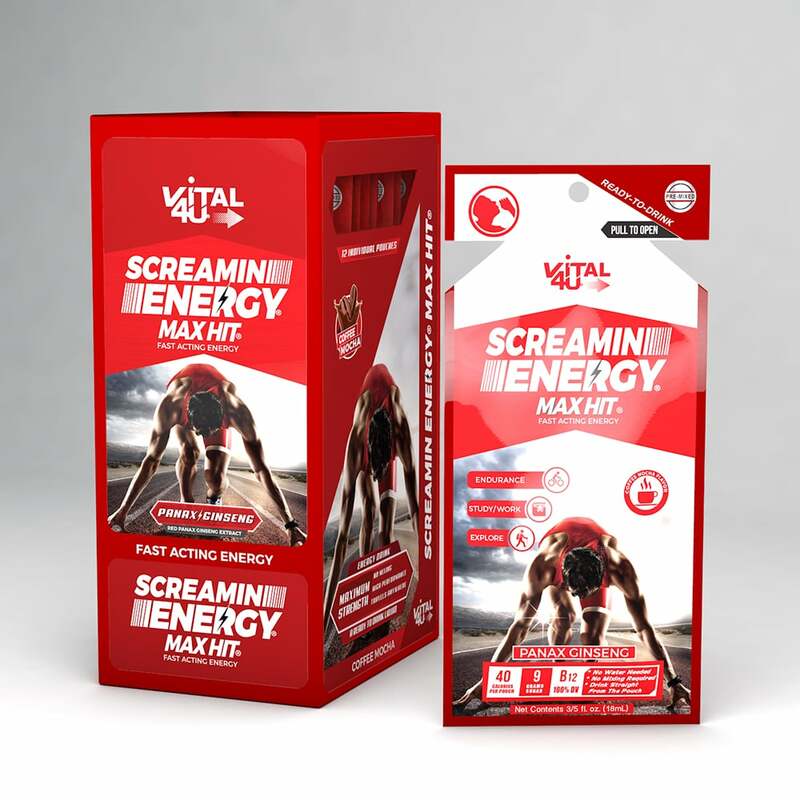 Note: Screamin Energy® ULTRA Contains Yohimbine HCL, do not exceed recommended serving. Over consumption may result in loss of sleep.